At the time Vail Resorts had an a RFID ski-pass system for tracking their guests and their skiing achievements so that guests could share their adventures with friends and family across the world on social media using the Vail Resorts EpicMix website. Where we stepped in is to deliver the photographic counterpart to the existing EpicMix experience. Our Rover system enabled the capture of unique RFID data from ski-passes that could be linked to photographs taken by one of the one hundred photographics operating across all of the mountain resorts. This top-end experience could be delivered in any conditions (in the cold and the snow) thanks to software running on robust hardware devices – using Nikon SLR Cameras, TSL UHF RFID Readers, and Motorola Mobile Computers. Photographics and data captured on our Rover system could be transmitted wirelessly from the mountain resorts back to a central base in Denver, ready for processing and quality correction before heading back to the guests. Once these photographs and data are in the back house and stored on our Digital Asset Solution they can be rapidly and automatically corrected using HiQ Automation Software and quickly approved by a couple of operators using our LS Edit software before being rendered and stored back in our Digital Asset Solution ready for on-demand collection and distribution onto the EpicMix Photo website. In total our solution is able to capture and process in excess of 30,000 photos each day. The photo addition with EpicMix Photo surpassed the entire buzz created in 2010-11 with the initial launch of EpicMix. In the first few months alone of running EpicMix Photo with their guests, Vail Resorts estimated more than 280,000 photographics had been shared through Facebook and Twitter, generating an estimated 36 million social impressions! 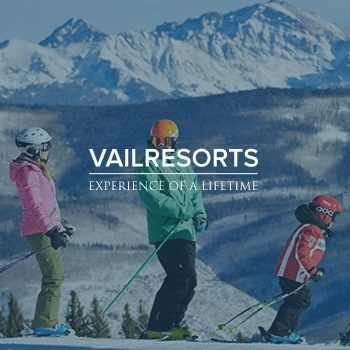 Photography workflows using our software systems – melded with EpicMix Photo – are revolutionizing the guest experience at Vail Resorts many locations. Creating more engagement with guests and enabling holiday experiences to be captured and shared worldwide. We are – and continue to be – very proud of our work with Vail Resorts and the part we played in delivering such a revolutionary photographic workflow. Vail Resorts, Inc. is the premier mountain resort company in the world and a leader in luxury, destination-based travel at iconic locations. They own and operate seven ski resorts in the United States. These premier year-round resorts include Vail Ski Resort, Beaver Creek Resort, Keystone Resort, and Breckenridge Ski Resort in Colorado, and Heavenly Mountain Resort, Northstar at Tahoe, and Kirkwood Mountain Resort in the Lake Tahoe area of California and Nevada.